Save on phones, TVs, and more. 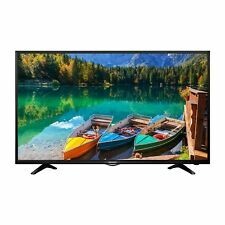 Sharp, LC-40Q3070U 40" Class FHD (1080p) LED TV. Resolution: 1080p. Smart Functionality: yes. Backlight Type: LED. Key Features GRADE AFully Functional. We proudly stand behind the quality of our products. 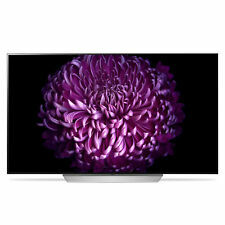 VIZIO, D24hn-G9. Resolution: 720p. Backlight Type: Edge-Lit LED. Number of Colors: 16.7Million. GRADE AFully Functional. We proudly stand behind the quality of our products. Screen Size (Diag.). 25 Years experience. Trending at $38.95eBay determines this price through a machine learned model of the product's sale prices within the last 90 days. 3D HDMI Extender Over Single Network Extension Cable. 2.2M 20LEDs 3D Candy Cane Crutch Battery Powered Decoration String Fairy Light. Microfiber Pet Dog Couch Sofa Furniture Protector Cover Waterproof Slipcover. LG UBK90 - 4K Ultra-HD Blu-ray Disc Player with Dolby Vision. 4K Ultra HD Blu-ray Disc Playback. 4K Streaming Content. Dolby Vision. 4K Blu-Ray Disc Playback. Standby Power Consumption. Dolby Digital Plus. 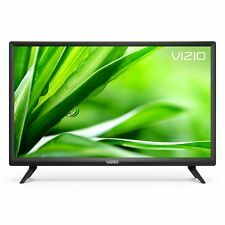 VIZIO, D24H-G9. Smart TV: Yes. Backlight Type: Edgelit LED. GRADE AFully Functional. We proudly stand behind the quality of our products. VESA Mount Standard 100 x 100. Screen Size: 23.5". 25 Years experience. SWM 3 LNB / 3D2RB (REVERSE BAND 4K LNB). This dish was removed from the box for picture purposes only. It has never been used or installed. Included in this sale is everything you need to get up and running. We Have Continually Grown By Providing Quality Deals At Low Prices. We carefully inspect each used item to make sure have minimal or no scratching. You can expect a fully functional product. 100% Original. 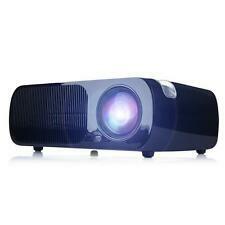 You are looking at a BenQ 3D ready projector with between 500 and 1000 Lamp Hours, model MX520. VGA cord, Power cord, HDMI cord. Everything included in the ad is shown in the pictures and listed in the accessories line unless otherwise stated. Resolution: 720p. Sharp, LC-32Q5230U. Smart Functionality: yes. Backlight Type: LED. Key Features GRADE AFully Functional. We proudly stand behind the quality of our products. Screen Size (Diag.). 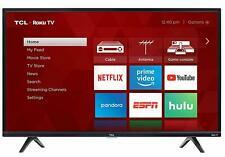 Sharp - 40" Class - LED - 1080p - Smart - HDTV Roku TV. 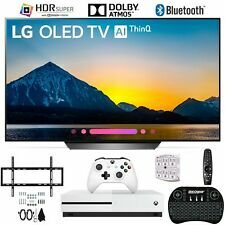 1080p (Full HD) resolution Smart TV, built-in Roku smart platform 60Hz refresh rate. Smart Platform: Roku TV. 1080p resolution for stunning HD images. 13.9 Inches Portable Mobile DVD HD Player with Game FM TV Function 270°Swivel Screen Black. Blu-ray player features a built-in web browser to view all your favorite websites and online content directly on your TV. Built-in Wi-Fi enables content streaming from your favorite services such as Netflix, YouTube, Amazon and MGO. 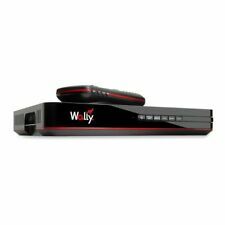 Are you tired of spending a fortune on cable TV?. Save money on your cable bill and watch your favorite TV shows for free with TV Free-Way™ Gold! TV Free-Way™ Gold lets you watch up to 90% of the top-rated TV shows free. USB 2.0: The JynxBox Ultra HD has double USB 2.0 connections with support for FAT32 and NTFS drives. Never miss another show by scheduling all your favorite shows to record. With NTFS support you can record programs in HD or SD up to 16TB in one file. Resolution: 1080p. Effective Refresh Rate: 60Hz. All our electrical / electronic products work only on 110 Volts. Power Adapter. What's In The Box Mini Audio Output Jack: 1. Android 8.1 TV box HK1mini rk3229 chip 2 16G 4K network set-top box. CPU: RK3229 quad-core cortex-A53 ; frequency : 1.5G. SDRAM: 2GB DDR3. FLASH: 16GB NAND FLASH. WIFI: 2.4GHz. Latest system: Android 8.1, Novel appearance. Enjoy fast, stable Wi-Fi even when streaming in HD. 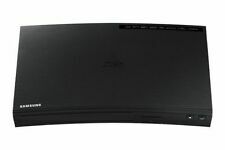 Sony Wi-Fi Blu-ray Disc Players are engineered for a stronger and faster wireless connection. A new Wi-Fi module compatible with MIMO provides improved stability and speed performance for a better streaming experience. This TV includes three HDMI inputs, and a USB port for easy connectivity. 3 x HDMI | 1 x USB. By CEC function, using TV remote. 32" HD 720 LED TV. Bolva 32" HD TV. 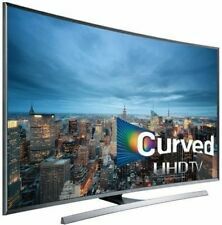 720p high-definition (HD) resolution allows you to view and experience great images on your TV. LG, 55UK6200PUA. Resolution: 2160p. Smart Functionality: yes. Smart Platform: webOS. Backlight Type: LED. GRADE AFully Functional. We proudly stand behind the quality of our products. Screen Size (Diag.). Sharp - 32" Class - LED - 720p - HDTV. 720p (HD) resolution Motion Rate 60. 720p resolution for quality HD images. Its 60Hz refresh rate creates a smooth picture for more enjoyable viewing, while the digital audio output provides clear sound. Mini Size!Priority Shipping!Best Quality!Lowest Price! Compact in size, it is barely noticeable and ideal for wall mounting, or as an extra for a spare room. 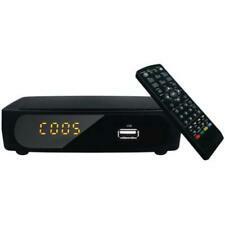 Tuner supports ATSC/ NTSC, Earphone Jack, Built in Speaker, Full Band Digital TV Tuner supports ATSC/ NTSC. AV Input/Output Jacks AC/DC Or internal battery operation. This 2" x 2" x 2" projector uses LED light to project up to 120"! With built-in speakers. You can connect your Iphone to it with a Lightning to Mini HDMI cord (Only sold by Apple). There is also no SD Card included. 2PCS 22CH FLOUREON Long Range Walkie Talkie Two-Way Radio Set Orange 462-467MHz. Support Full HD 1080P 4K Video WithHDMI/USB/AV/Headphone/VGA/TF. Support 1080P And 4K Video Display. In addition, it supports Full HD 1080P (1920 1080) and 4K video playing. Insignia- 32" Class - LED - 720p - HDTV. Insignia32" Class - LED - 720p - HDTV. Only at Best Buy 720p (HD) resolution 60Hz refresh rate. 720p resolution for quality HD images. Vertical Resolution: 720p (HD).